Apple dramatically overhauled its iPad Pro range last year, ditching the iconic Home Button and shrinking the bezels around the display to squeeze more screen into the same physical footprint. The redesigned iPad Pro are compatible with a second-generation Apple Pencil that attaches to the side of the tablet with magnets and charges wirelessly – unlike the first iteration of the stylus, which had a Lightning connector hidden under its cap. As we've come to expect with any major hardware tweak, the new iPad Pro models saw an increase in price compared to earlier versions of the productivity-focused tablet hardware. Whereas the earlier 12.9-inch model started at £769, the new all-screen version of the iPad Pro will set you back at least £969. Thankfully, it's still possible to pick-up the 2017 models. And John Lewis has recently slashed prices of the older hardware – knocking up to £450 off the price of the most expensive model with Wi-Fi and cellular capabilities, and 512GB of in-built storage. A number of models have already sold-out, so if you're interested – we recommend adding to your shopping basket sooner rather than later. 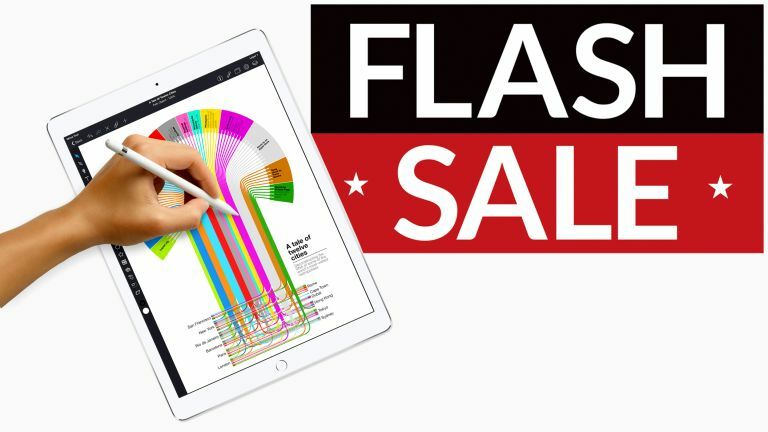 If you're more interested in the latest, gesture-based iPad Pro range, check out the latest prices below to see how they compare against the sale.